Toyota Engines | Used Toyota Engines | Rebuilt Toyota engines- All JDM Low Mileage. Good News for Toyota Owners ! ... We have the largest stock of Toyota Engines under one roof, all tested & low mileage. We have been in business for over a decade and more than 50% of our customers are repeat customers therefore we are fully commited. We know that we can grow only by selling good Toyota Motors. We are the Toyota Engine Pros, we understand your Toyota more than anyone. Our low mileage Toyota Engines imported from Japan ensures excellent quality. Now you can buy tested and low mileage Toyota Engines at wholesale prices from us. Our Used Toyota Engines bring more value for money. We are very passionate about what we do. We take great pride to say that we have had lowest failure rate on our Used Toyota Engines & Toyota Transmissions. 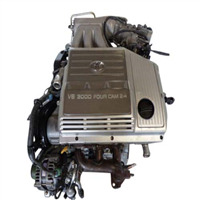 We have been selling Japanese Toyota Engines for over a decade and this experience has been very advantageous as it ensures good quality and keeps the cost low. 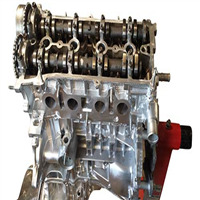 Our aim is to sell only tested Engines & Transmissions that pass our stringent quality testing. We put our heart and soul into our testing procedure. Our Testing procedure includes Manual-Compression Test by power turning the engine, Cylinder Leak-Down test, Oil-Pressure test to check Oil Pump, Multipoint inspection to check leaks & cracks & sludge check. Our Toyota Engines & Transmissions are practically sludge free. We do what we do the best ! 99% of the times we will never say " No, we don't have it " because we carry a huge inventory and most difficult to find engines we REMANUFACTURE if we don't have in stock. Famous Remanufactured Toyota Engines that we offer are Toyota 2AZ FE for 2002-2009 Toyota Camry engines( both Gas & Hybrid versions), Toyota Highlander, Scion TC engine, Toyota Solara & Toyota Rav4. Apart from this we also Remanufacture Toyota 1GR 4.0 ltr engine for Toyota Tundra, Toyota 4Runner, Toyota FJ Cruiser & Toyota Land Cruiser. We always carry a stock of in demand Used Toyota engine for Toyota Camry, Toyota Tundra, Toyota Corolla, Toyota 4Runner, Toyota Tacoma etc. We want each and every customer to be satisfied that is the reason why " Quality is our commitment "
Knowledge is every thing. We understand Toyota Engines & Transmissions more than your local junk yard that is why put so much time to test them. About 95% of our Engines are imported from our own network in Japan and rest are sold reconditioned and are sold only if we are fully satisfied with the quality. We have the largest stock of low mileage Toyota Engines imported from Japan and remanufacture our difficult to find engines. Engines for Toyota Corolla: 5A FE, 4A FE, 1ZZ FE BOTH VVTI & NON VVTI. Engines for Toyota Prius: 1NZ VVTI. REBUILT TOYOTA 3RZ FE OR 2RZ FE for 1995-2004 Toyota Tacoma, 1996-2004 Toyota 4Runner, 1994-98 Toyota T100. Rebuilt Toyota 3VZ E V6 engine for 1988-95 Toyota 4Runner & Pickup. Rebuilt Toyota 1MZ VVTI Engine that fits Lexus RX300, Toyota Highlander, Lexus ES300 and 1998 up Toyota Avalon. We offer both 2WD & 4WD 1MZ VVTI rebuilt motor. Toyota 1GR FE Rebuilt 4.0 ltr engine that fits 2003 and above Toyota 4Runner, Tacoma, Tundra & FJ Cruiser. Toyota 1FZ FE rebuilt motor for Land Cruiser & Lexus LX450. 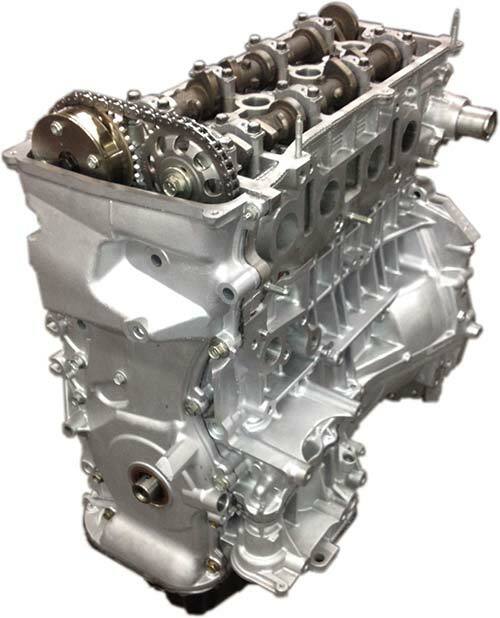 Our Remanufactured Toyota Motors are very affordable and cost close to a Used Engine so it gives good value for money ! Engines are sold with 6 months limited warranty & Transmissions with 3 months limited warranty. We also sell Tune Up parts at discounted prices for all Toyota Engines to save your time. We sell Low mileage JDM Toyota Engines at wholesale prices ! 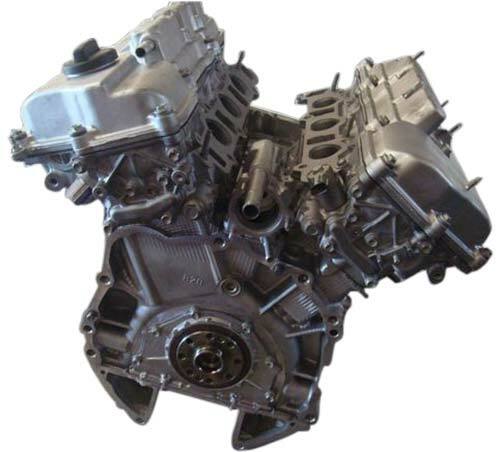 SHIPMENT: We ship Used Toyota Engines & Toyota Transmissions to all 50 U.S states, to Canada and the Caribbean. Please see approx arrival times on our " Shipping" page. Follow our Facebook, Twitter & Google Plus + page for monthly deals. 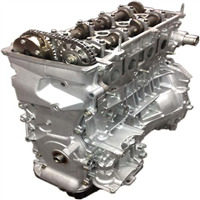 Send us a Price Request email for Used Toyota Engine and we will reply within hours. Our Toyota Engines are very affordable and all our sold with 6 months limited warranty. CONTAINER FULL WITH 50% Toyota engines unloaded yesterday: We received 16 Toyota 3SFE engines, 5 units of Toyota 2AZ FE ( 2 FOR 2008 UP HYBRID CAMRYS), 10 units for Toyota Camry Solara & Lexus ES300 94-02 1MZ non vvti & 5 units of Lexus RX300, Toyota Highlander, Toyota Sienna & Toyota Camry 1MZ VVTI engines. Hurry and call us to book your order today ! Toyota Camry 2AZ FE 2.4 ltr 4 cylinders engine for the year 2010 for sale. Toyota 2AZ FE non-hybrid engine. We sell re-manufactured 2AZ FE engine with new pistons, piston rings, main/rod bearings, rebuilt cylinder head, and gaskets. The cylinder block is honed and bored. The cylinder head is resurfaced and pressure tested. Toyota Camry 2AZ FE 2.4 ltr 4 cylinders engine for the year 2009 for sale. Toyota 2AZ FE non-hybrid engine. We sell re-manufactured 2AZ FE engine with new pistons, piston rings, main/rod bearings, rebuilt cylinder head, and gaskets. The cylinder block is honed and bored. The cylinder head is resurfaced and pressure tested. Toyota Camry 2AZ FE 2.4 ltr 4 cylinders engine for the year 2008 for sale. Toyota 2AZ FE non-hybrid engine. We sell re-manufactured 2AZ FE engine with new pistons, piston rings, main/rod bearings, rebuilt cylinder head, and gaskets. The cylinder block is honed and bored. The cylinder head is resurfaced and pressure tested. We sell the highest quality 100% re-manufactured 2.4 ltr Toyota Camry engine for 2007 Toyota Camry with New Pistons, Piston rings, main / rod bearings, balance shaft bearings and gaskets. Block is honed and bored, the cylinder head is resurfaced. WE DON'T CHARGE CORE CHARGE ON OUR REBUILT TOYOTA 2AZ FE OR 2AZ FXE ENGINE FOR CAMRY OR CAMRY HYBRID. We sell the highest quality 100% re-manufactured 2.4 ltr Toyota Camry engine for 2006 Toyota Camry with New Pistons, Piston rings, main / rod bearings, balance shaft bearings and gaskets. Block is honed and bored, the cylinder head is resurfaced. WE DON'T CHARGE CORE CHARGE ON OUR REBUILT TOYOTA 2AZ FE OR 2AZ FXE ENGINE FOR CAMRY OR CAMRY HYBRID. We sell the highest quality 100% re-manufactured 2.4 ltr Toyota Camry engine for 2004 Toyota Camry with New Pistons, Piston rings, main / rod bearings, and gaskets. Block is honed and bored, the cylinder head is resurfaced. WE DON'T CHARGE CORE CHARGE ON OUR REBUILT TOYOTA 2AZ FE OR 2AZ FXE ENGINE FOR CAMRY OR CAMRY HYBRID. We sell the highest quality 100% re-manufactured 2.4 ltr Toyota Camry engine for 2003 Toyota Camry with New Pistons, Piston rings, main / rod bearings, and gaskets. Block is honed and bored, the cylinder head is resurfaced. WE DON'T CHARGE CORE CHARGE ON OUR REBUILT TOYOTA 2AZ FE OR 2AZ FXE ENGINE FOR CAMRY OR CAMRY HYBRID. We sell the highest quality 100% re-manufactured 2.4 ltr Toyota Camry engine for 2002 Toyota Camry with New Pistons, Piston rings, main / rod bearings, and gaskets. Block is honed and bored, the cylinder head is resurfaced. WE DON'T CHARGE CORE CHARGE ON OUR REBUILT TOYOTA 2AZ FE OR 2AZ FXE ENGINE FOR CAMRY OR CAMRY HYBRID. Toyota Highlander 2AZ FE 2.4 ltr re-manufactured engine for year 2007 for sale. Vin identification: Vin D, 5th digit. Toyota Highlander 2AZ FE 2.4 ltr re-manufactured engine for year 2006 for sale. Vin identification: Vin D, 5th digit. Toyota Highlander 2AZ FE 2.4 ltr re-manufactured engine for year 2005 for sale. Vin identification: Vin D, 5th digit. Toyota Highlander 2AZ FE 2.4 ltr re-manufactured engine for year 2004 for sale. Vin identification: Vin D, 5th digit. Toyota Highlander 2AZ FE 2.4 ltr re-manufactured engine for year 2003 for sale. Vin identification: Vin D, 5th digit. Toyota Highlander 2AZ FE 2.4 ltr re-manufactured engine for year 2002 for sale. Vin identification: Vin D, 5th digit. Toyota Highlander 2AZ FE 2.4 ltr re-manufactured engine for year 2001 for sale. Vin identification: Vin D, 5th digit. Toyota Highlander 3MZ FE V6 3.3 ltr HYBRID rebuilt engine for 2008 Highlander for sale. Vin Identification for Hybrid: Vin W, 5th digit. Toyota Highlander 3MZ FE V6 3.3 ltr rebuilt engine for 2007 Highlander for sale. We sell both 2WD & 4WD rebuilt 3.3 ltr 3MZ engine for Highlander. Vin Identification for 2WD & 4WD: Vin P, 5th digit. Vin Identification for Hybrid: Vin W, 5th digit. Toyota Highlander 3MZ FE V6 3.3 ltr HYBRID rebuilt engine for 2006 Highlander for sale. Vin Identification: VIN W, 5TH DIGIT. Toyota Highlander 3MZ FE V6 3.3 ltr rebuilt engine for 2006 Highlander for sale. Vin Identification: VIN P, 5TH DIGIT. We sell both 2WD & 4WD rebuilt 3.3 ltr 3MZ engine for Highlander. Toyota Highlander 3MZ FE V6 3.3 ltr rebuilt engine for 2005 Highlander for sale. Vin Identification: VIN P, 5TH DIGIT. We sell both 2WD & 4WD rebuilt 3.3 ltr 3MZ engine for Highlander. Toyota Highlander 1MZ VVTI 4WD OR 2WD 3.0 ltr low mileage Japanese engine for sale for 2004 Highlander. VIN IDENTIFICATION: VIN F, 5TH DIGIT. Toyota Highlander 1MZ VVTI 4WD OR 2WD 3.0 ltr low mileage Japanese engine for sale for 2003 Highlander. VIN IDENTIFICATION: VIN F, 5TH DIGIT. Toyota Highlander 1MZ VVTI 4WD OR 2WD 3.0 ltr low mileage Japanese engine for sale for 2002 Highlander.